Dr. Wilmoth has a long list of credentials that sets him apart in the field of medicine and patient care. 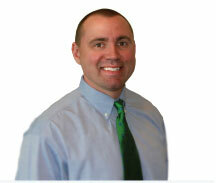 He is a graduate of LMU and has been in practice since 2006 with honors and affiliations that you know you can trust. RAISING THE STANDARD FOR SURGICAL CARE. At Preferred Surgical Associates, we are committed to providing you with the very best in healthcare. Dr. Wilmoth is highly skilled and Board Certified in General Surgery and offers a wide range of services for better health and wellness. Through the strength of our surgical team and in partnership with our office staff, Preferred Surgical Associates strives to offer a unique combination of compassionate surgical care, professional service, and an ongoing commitment to improving the quality of life for the community and the region in which we live. With two locations to serve you, we offer convenience and quality service that provides you with the best in surgical treatment. Your health is our top priority. Two locations to make your life a little easier. Now located in Tazewell, Tennessee & Middlesboro, Kentucky.